Today's Retail Review is a product that I've doubled checked for tampering! 11/12 Certified was the product that got me to be meticulous about making sure the correct wrapping seal is on the box. If you remember my break from a few weeks ago, you'll recall that I had a blaster of 11/12 Certified that had a hit taken from it. This one looks like it's good to go! With only three packs in this blaster, collectors don't get many cards when they bust open on of these boxes. Being a higher-end product, Panini gives collectors who buy retail a taste of what a hobby product is all about. It's really cool that each of these blasters does have a hit in it, when it's not tampered with, of course. My last box had a pretty nice autographed card within it. Panini has done a great job with these blasters in terms of inserting a variety of different types of hits. 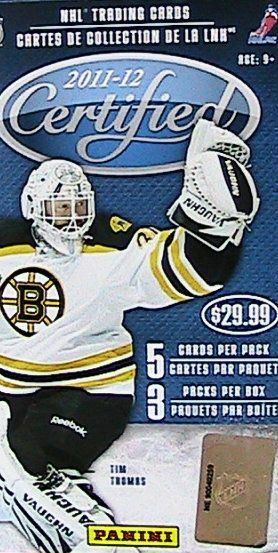 Though the hits are mainly jersey cards, the chance of getting autographs and patches is not bad, especially when compared to other retail products. Since that terrible tampered blaster I got, Certified has really been scoring for me! This blaster was definitely an enjoyable one to open as I received a very low numbered hit along with a serial numbered legends card. The rest of the base cards were nice as well. The first two years of Certified featured some very nice base cards that had a great feel to them. Though I don't think anything comes close to 10/11 Certified, 11/12 Certified base cards are still pretty decent. 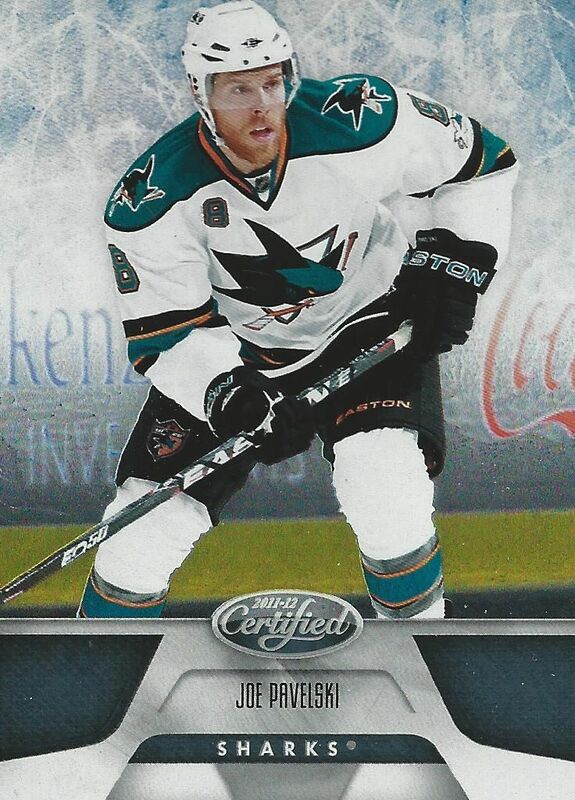 The newest captain of the Sharks, Joe Pavelski! He's one of the most solid players in the NHL, and I believe that he's very underrated in terms of the NHL as a whole. I'm always in favor of pulling cards of my team! 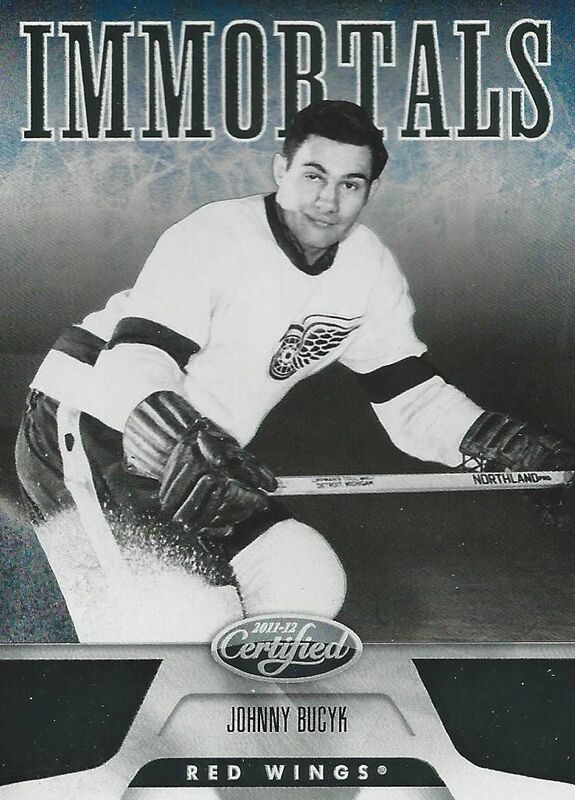 This Immortals subset card is serial numbered to just 500. I am a huge fan of the black and white photo on the modern foil card, it's such a cool contrast. This is one thick card! I knew it couldn't be just a jersey when I saw it from the side when I opened up my pack. This card is limited to only 5 and features a very nice piece of patch. With such low numbering, the only thing I could ask for is for this card to also have his autograph on it! That would have been amazing. 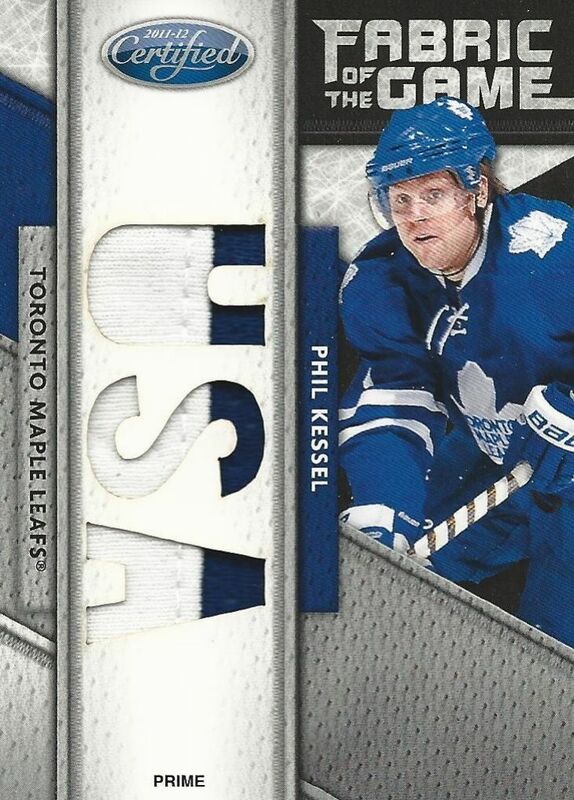 The Kessel card limited to just 5 really made this blaster a great one. Each pack is under four bucks as the blaster is a meager ten! I definitely think these blasters are worth getting if you can find them. I hope to get more of these very soon.